It’s time for music’s biggest names to clear some space on their award shelves—the 2018 Grammy Nominees are here! 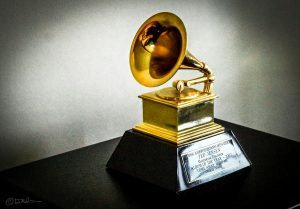 The list of nominees is more diverse than ever before with JAY-Z receiving eight nominations, followed by Kendrick Lamar with seven, and then Bruno Mars with six. No white male artists were nominated for the Album of the Year Grammy for the first time since 1999. The nominees for the coveted award include Childish Gambino, JAY-Z, Kendrick Lamar, Bruno Mars and Lorde. Late night talk show host and comedian James Corden will be hosting the 60th annual show on Sunday, Jan. 28, 2018 at Madison Square Garden in New York City. It is the first time in fifteen years that the show will not take place at the Staples Center in Los Angeles.